The good shepherd is in the Renaissance style. 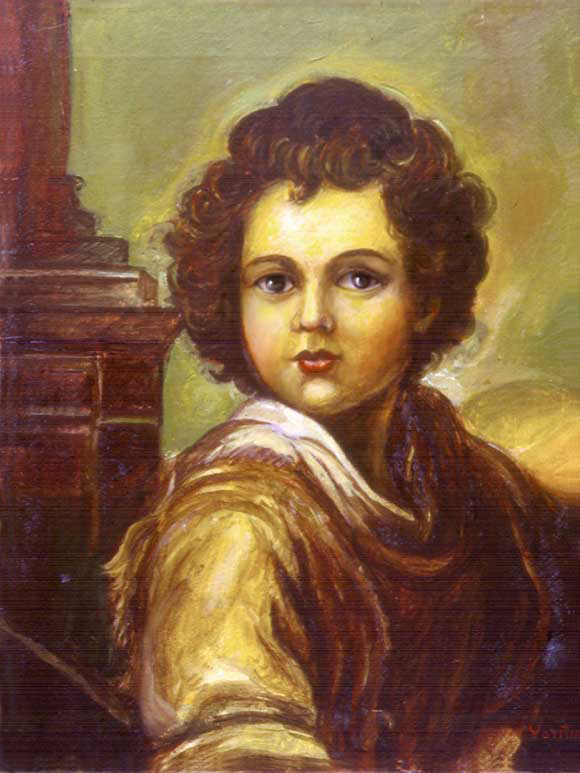 This is a painting of Baby Jesus as the Good Shepperd. We are all familiar with the paintings of madonna an child of the Renaissance, as well as religious paintings of Jesus, come to mind the Great Masters as Titian, Murillo, and many others.